It’s a point’n’click adventure title that won’t cost you a cent to play, is made in Adventure Game Studio by Ben304 and has a native resolution of 320×200. That said, however, it played just fine (windowed and full-screen) in 640×400, 960×600 and 1280×800 for me; both with and without anti-aliasing, though I recommend not using anti-aliasing as it puts a massive blur filter on the whole thing, most likely caused by how the AGS engine handles aliasing.. but I’m not entirely certain. As you can tell from the screenshots, this game has a very retro feel to it. From the pixellated graphics to the simple two-button interface – left mouse button is “use” while the right is “look”. While not everyone will enjoy the visual style in this one, I think it’s a good fit. After all, is a game in this genre not supposed to grip the player with its story, not high-res graphics and cinematic cut scenes? I must say that I didn’t really see the appeal of the story at first, but then suddenly it got me and even though it wasn’t until near the end that I realized there was a deeper story here than I thought at first, it was a fun-filled journey from start to finish. 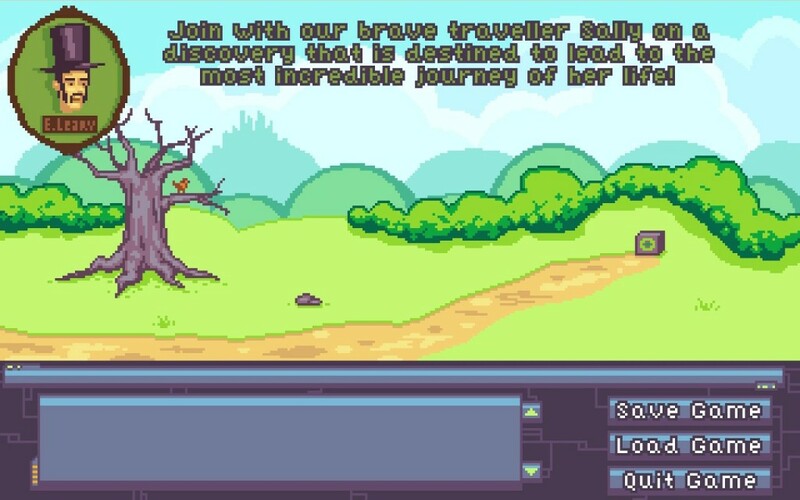 The depth it also aided by the game’s narrator (pictured above), as he does his best to make you feel that you are Sally. Every puzzle in Shifter’s Box was logical. Never felt like overcoming an obstacle in my path, was a case of trial and error. 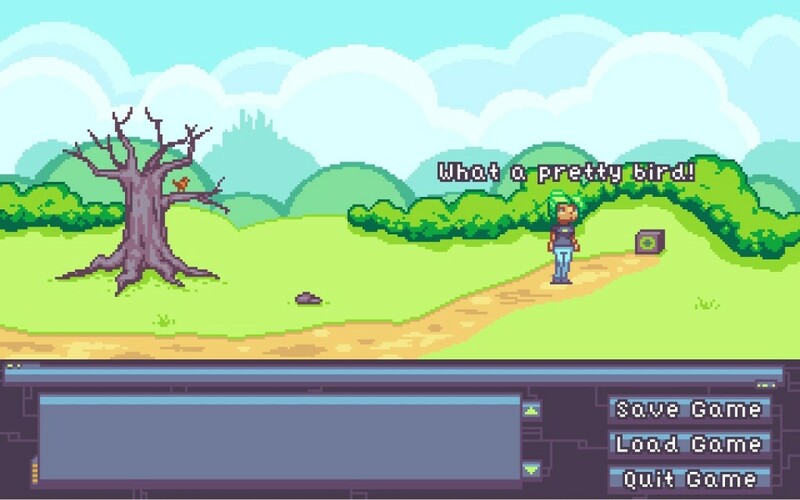 My first playthrough clocked in at around an hour, probably mostly due to the puzzles not being too challenging, but I tend to prefer story over challenge in a point’n’click (though I do enjoy a challenge! ), so I’m glad it didn’t last longer, since it wrapped up nicely. It’s hard to go wrong with a free game and despite its short length, I’d really recommend giving this one a go. After all, aren’t you curious to solve the mystery that is.. Shifter’s Box?